This year the “Cattle Team” will again host the Livestock Demo Tent on the Southwest corner of the Dakota Fest grounds. 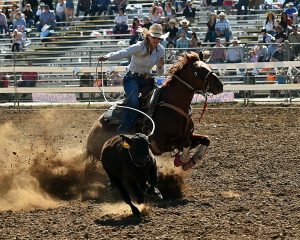 We will again officiate the ‘Battle of the Chutes.” The crews representing the manufacturer of each chute will demonstrate the highlights of their chute on South Dakota calves. The action will become intense and after the demo you will be able to operate any chute you like. MWI, Multimin, Elanco-Novartis, Z-tags, Zoetis, Bayer, Form – A –Feed, Newport Labs, Alta Genetics Saskatoon Colostrum, Merial, Agri Labs, Norbrook, Boehinger Ingelheim, SD Beef Council. They will all be represented with a booth available to answer any questions you may have. This year we have added a new feature “Dinner with Doc.” After they morning chute demo we will reassemble at noon. I will take orders for a steak sandwich meal for anyone on the bleachers. We will bring you a meal while you listen to a variety of speakers present five to ten minute programs on new products, new technologies, and hot topics in the beef industry. I know there is a lot to see at Dakota Fest so the meeting will last one hour at the most. Why not sit in the shade and enjoy a meal rather than spend the hour standing in line in the sun waiting for your meal? The topics are different every day, so you can come every day if you are hungry for lunch and education. 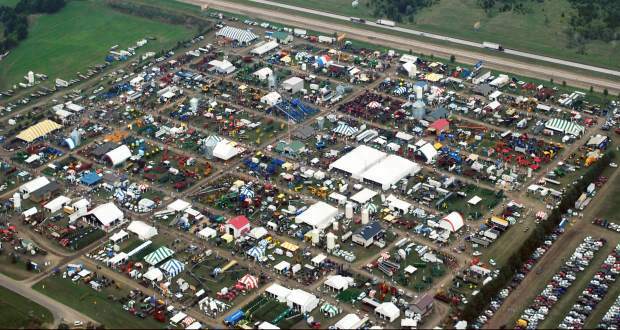 The Livestock Demo Tent will be the gathering spot for all livestock producers during Dakota Fest. Not only can you stop by for your Dakota Fest Apple, but now you can enjoy the shade of the tent as you learn of the newest products and technologies while enjoying your lunch.